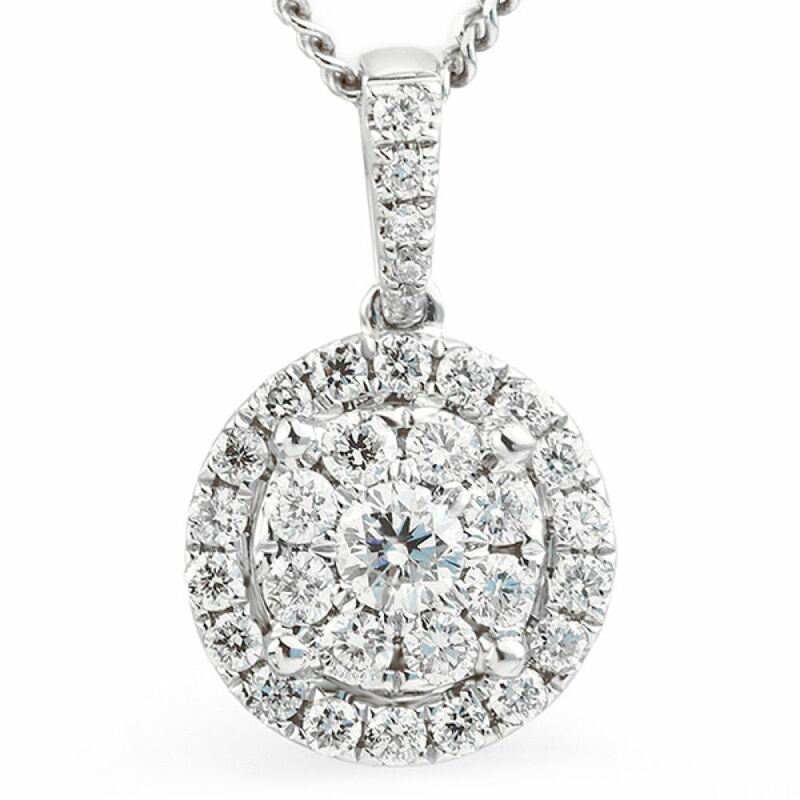 The 'Starla' Constellation pendant mesmerises with a surface of scintillating Round Brilliant cut Diamonds. 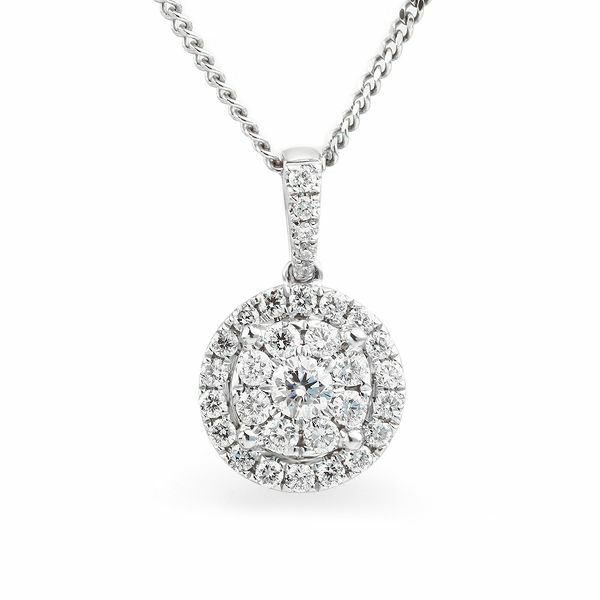 With a Diamond weight of 0.37cts each dazzling Diamond has achieved a grade of G Colour and SI1 Clarity – precision set into the halo effect pendant. 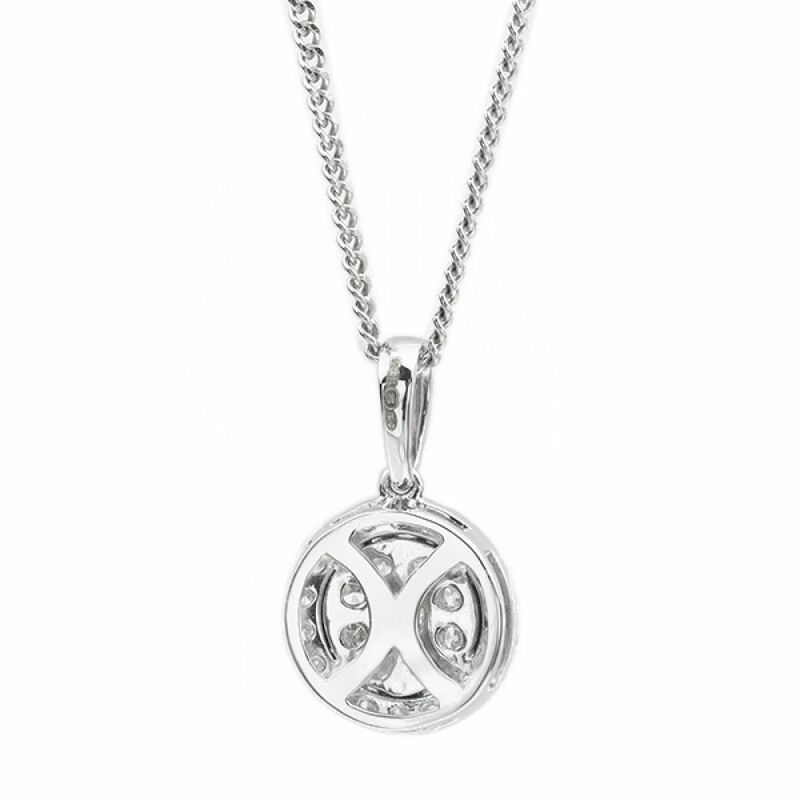 Measuring 9mm in diameter from edge-to-edge this exceptional pendant has been crafted in luxurious 18ct White Gold for a pristine white finish that complements each brilliant white Diamond. This pendant design is shown in our main image boxed, and is available as part of our Ready-to-Wear collection – available for immediate delivery. Each purchase includes the 18" close curb chain in matching 18ct White Gold. Showing the exceptional Starla diamond jewellery collection along with images of the Starla pendant boxed and suspended from the accompanying chain.